HH, GBM date Copperbelt again! 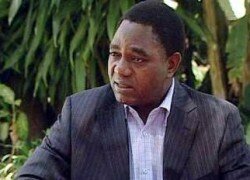 HAKAINDE Hichilema and his running mate Geoffrey Bwalya Mwamba are today expected to be on the Copperbelt for a series of political meetings ahead of the August 11 general elections. Mr Hichilema and Mr Mwamba were recently on the Copperbelt before proceeding to Northern and Eastern provinces for campaigns. According to a programme issued to the Daily Nation by the United Party for National Development (UPND) campaign team, Mr Hichilema, GBM and their entourage would today hold rallies in Chingola, Monge and Luanshya. 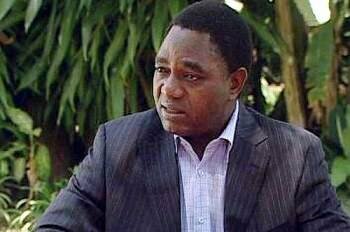 On Saturday, Mr Hichilema is expected to hold a mega rally in Kabwe then on Sunday he would address two rallies in Kapiri Mponshi and one in Ngabwe. Mr Hichilema would on Monday 27th June continue with his campaign programme as he would address two rallies in Mkushi South and Mkushi North while on Tuesday he would hold a rally in Chitambo. The UPND leader would on Wednesday 29th June address rallies in Katuba, Nangoma and Mumbwa.